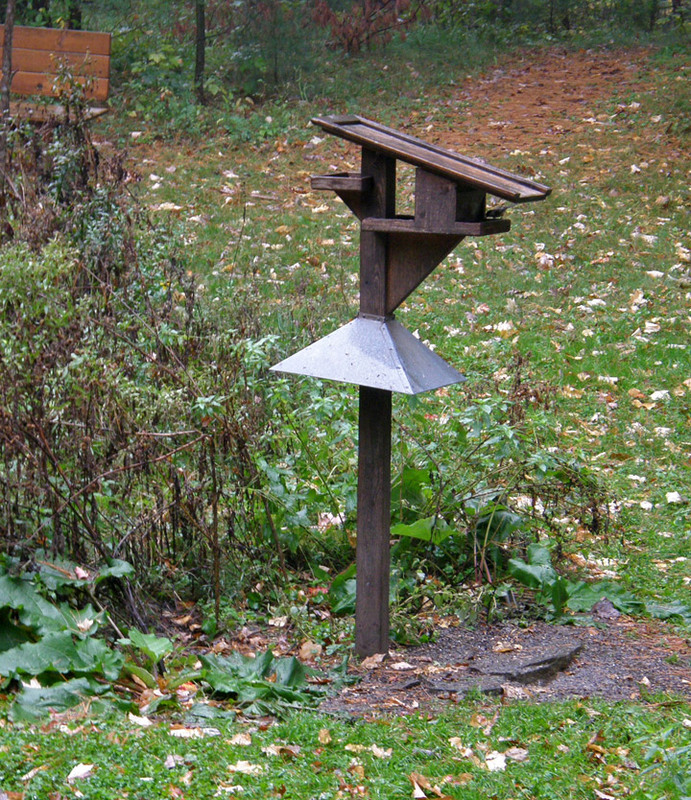 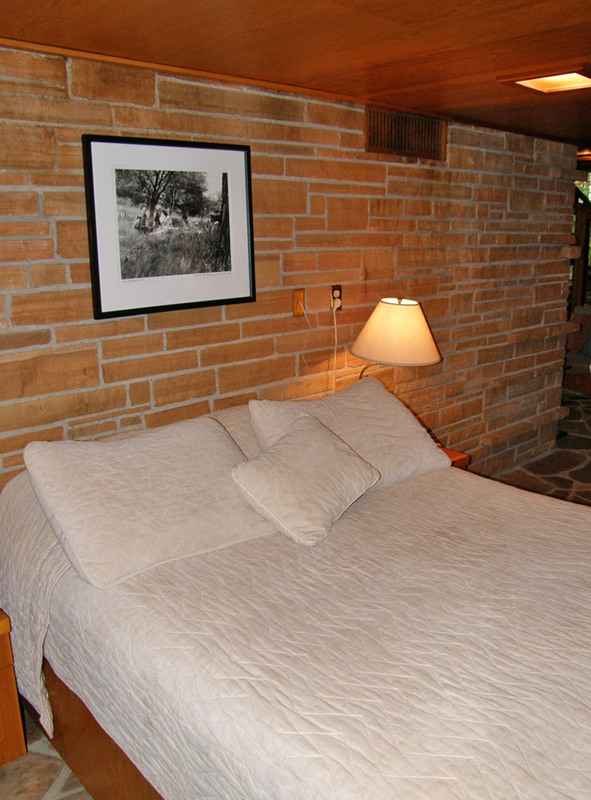 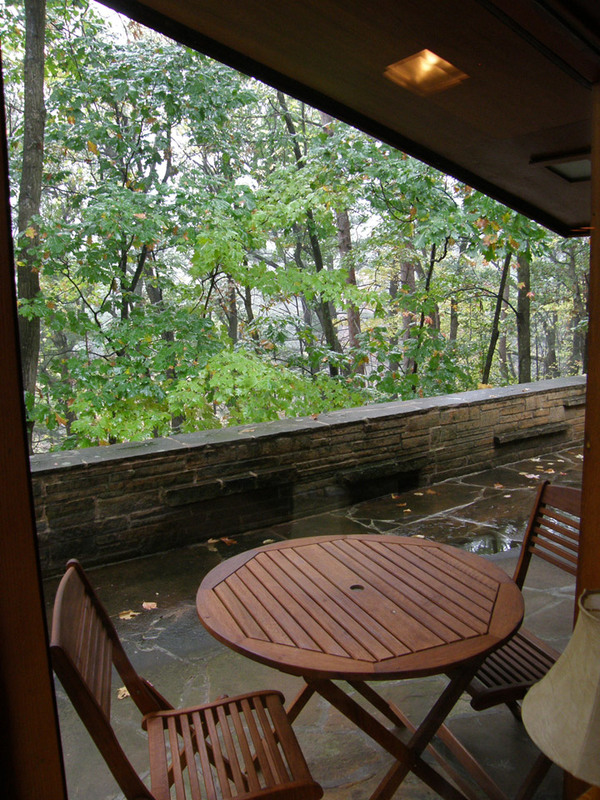 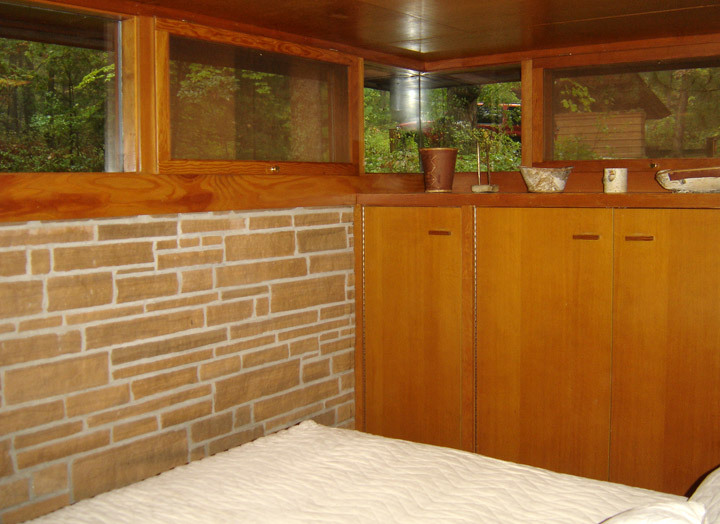 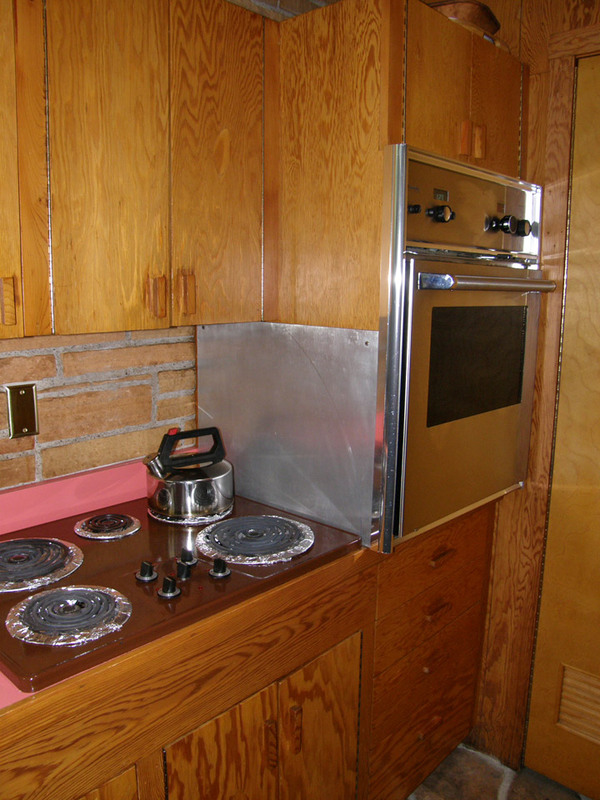 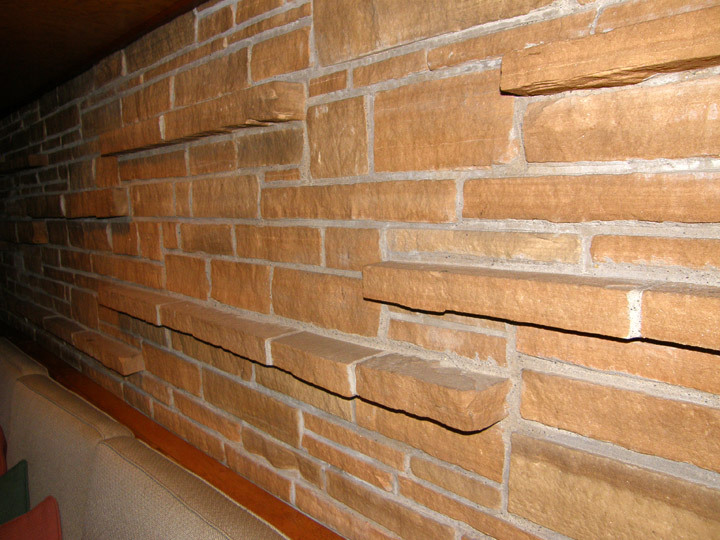 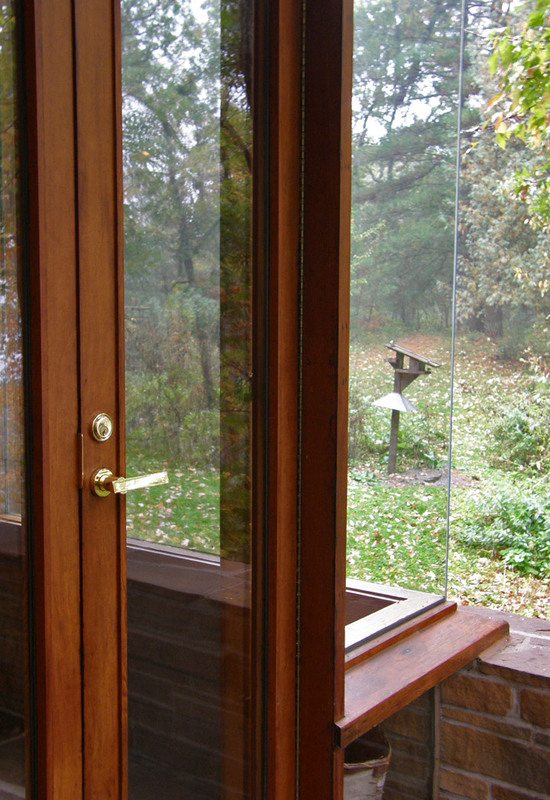 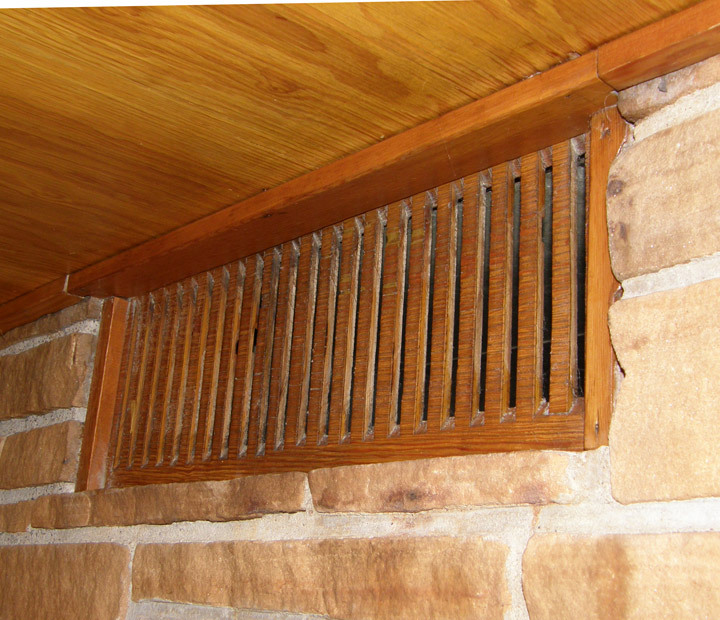 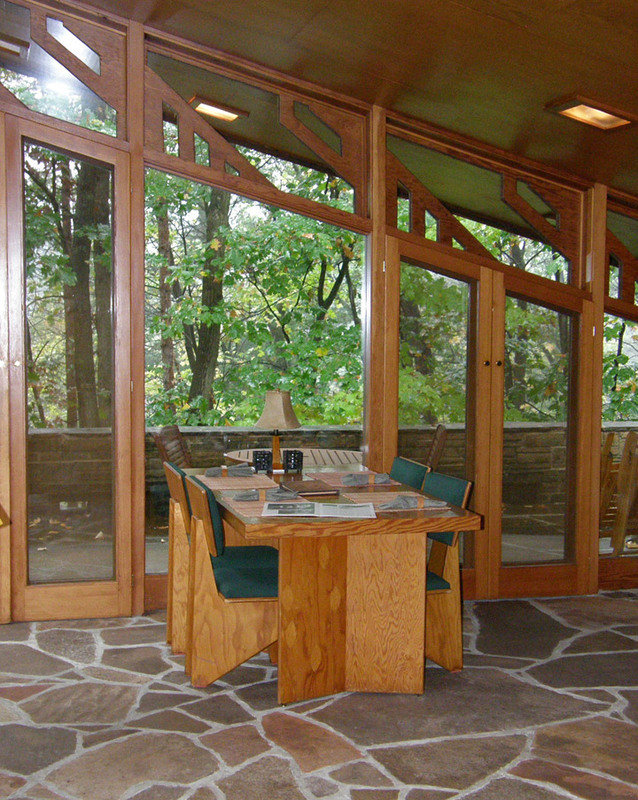 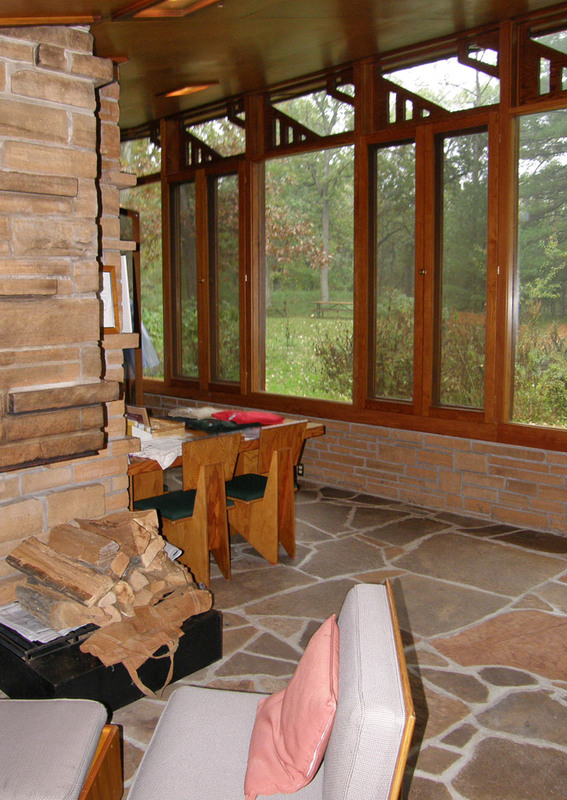 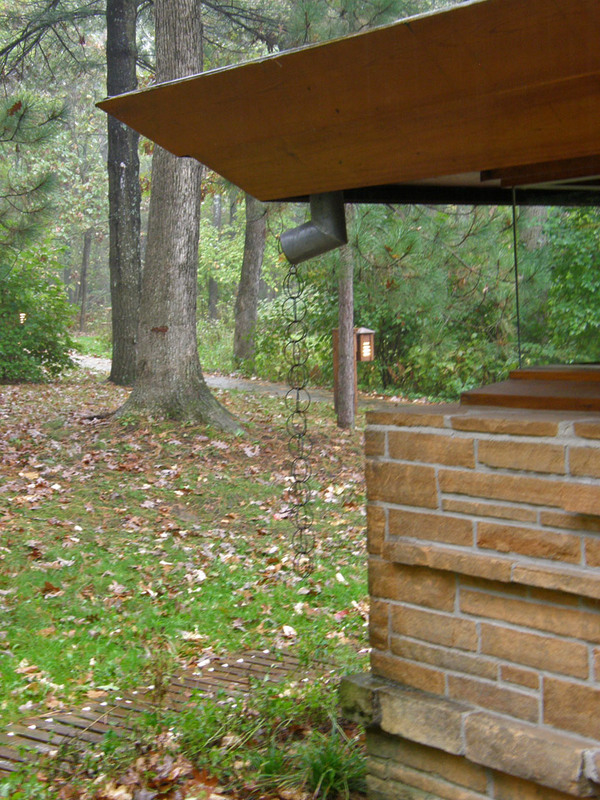 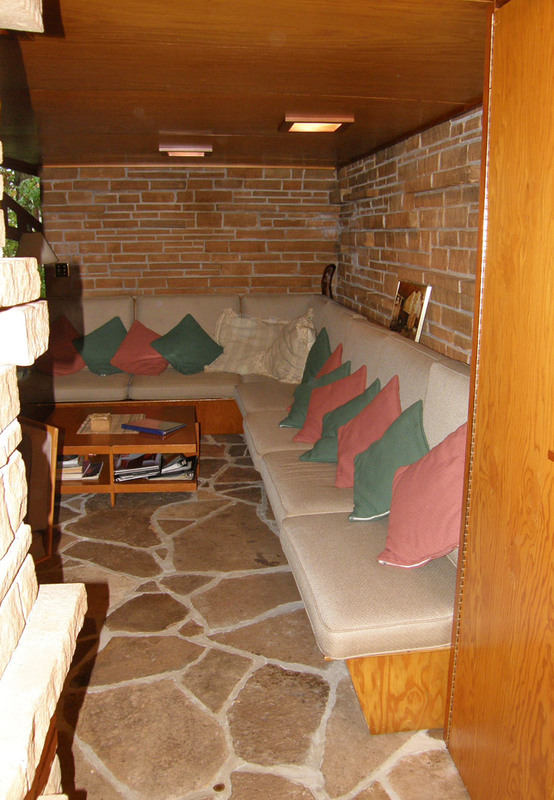 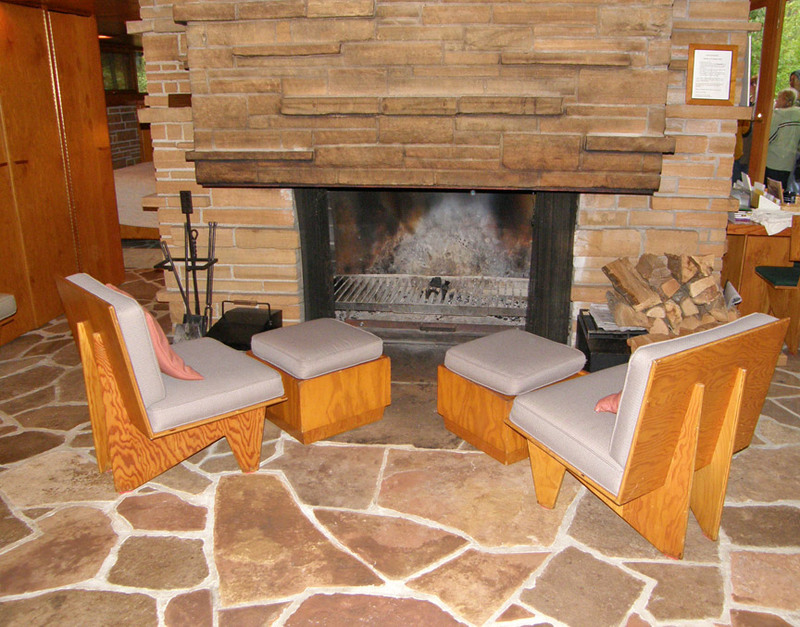 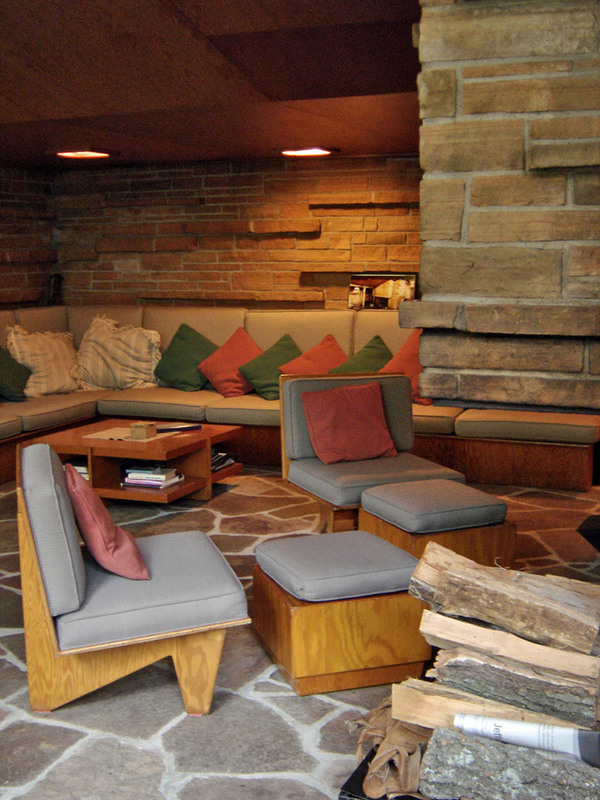 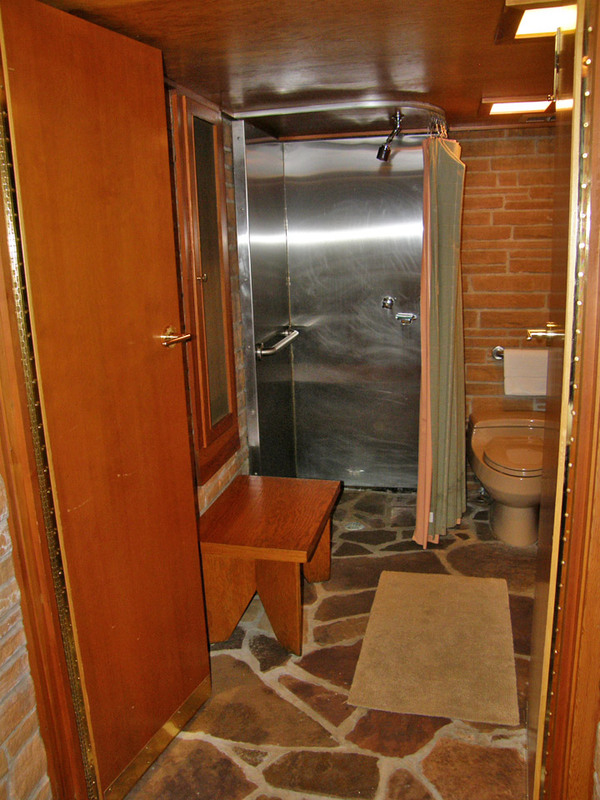 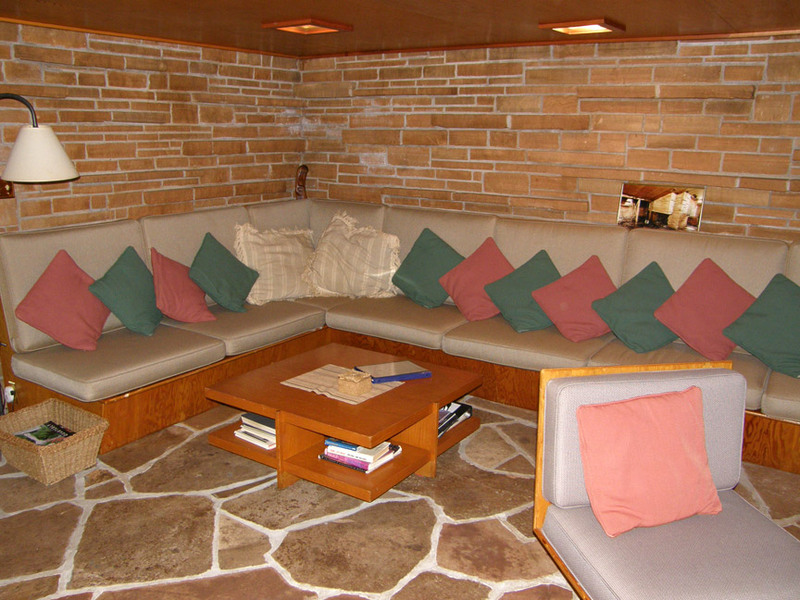 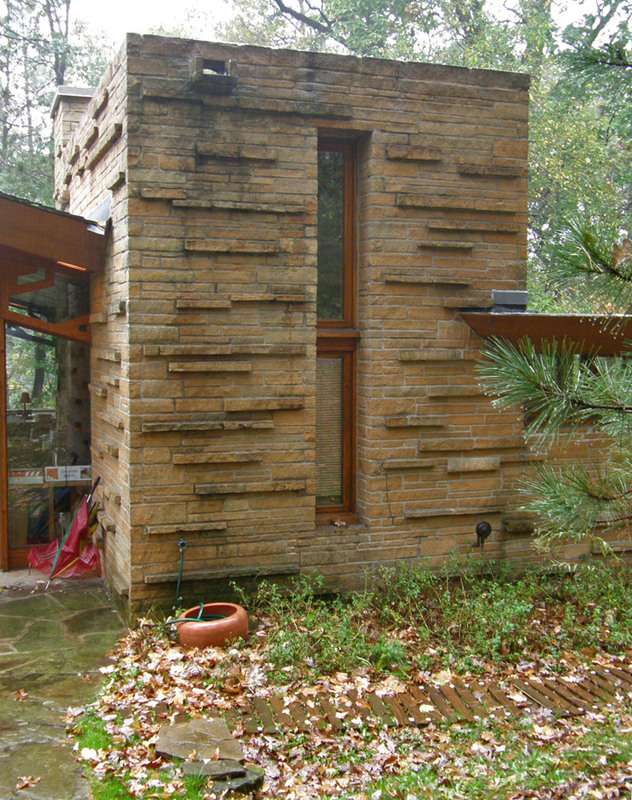 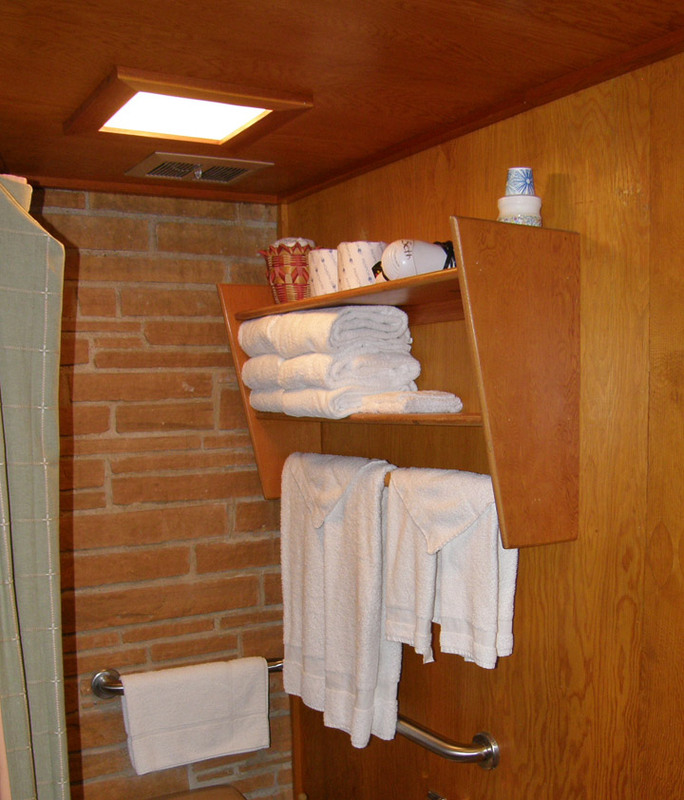 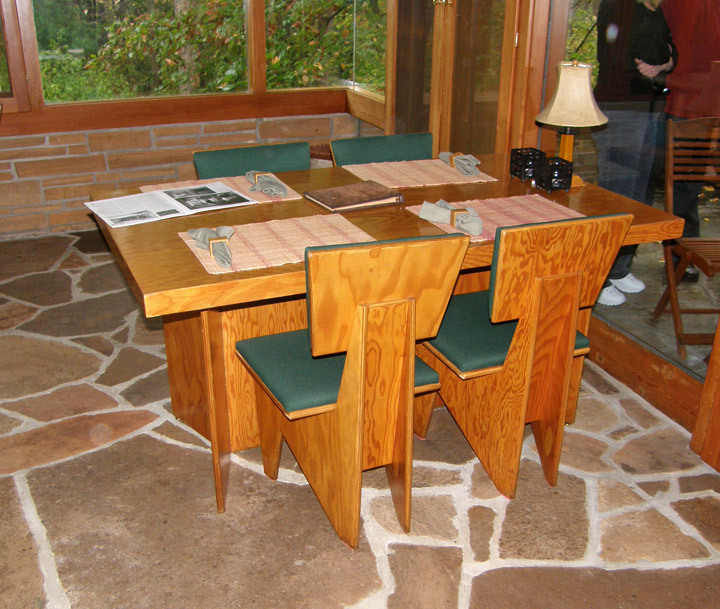 The Seth Peterson Cottage is a two-room lakeside cottage designed by Frank Lloyd Wright in 1958. 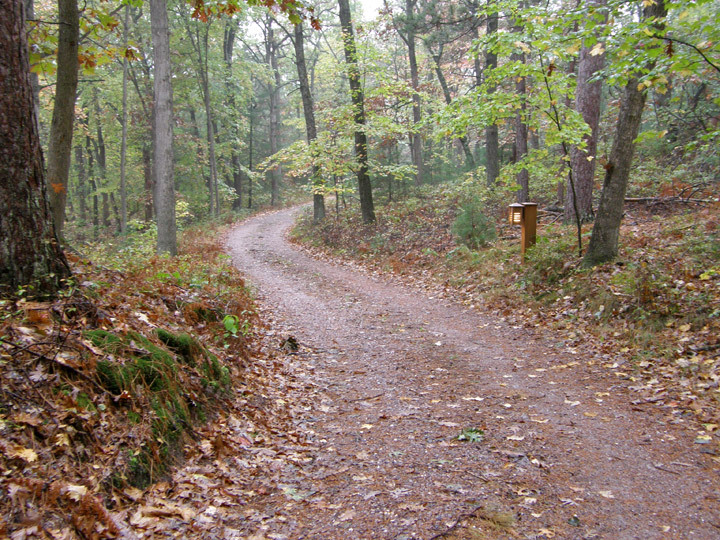 It is located within Mirror Lake State Park outside Lake Delton, Wisconsin, one mile west of the park entrance. 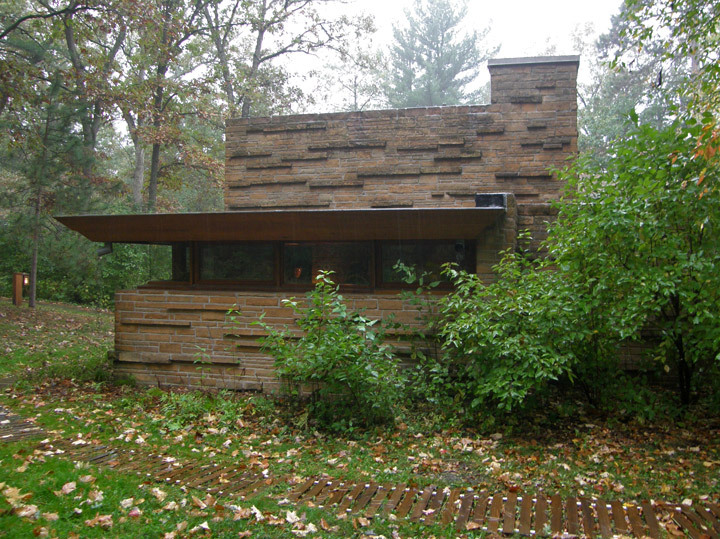 Wisconsin resident Seth Peterson convinced Wright, who was then 90 years old, to design a cottage for him in 1958. 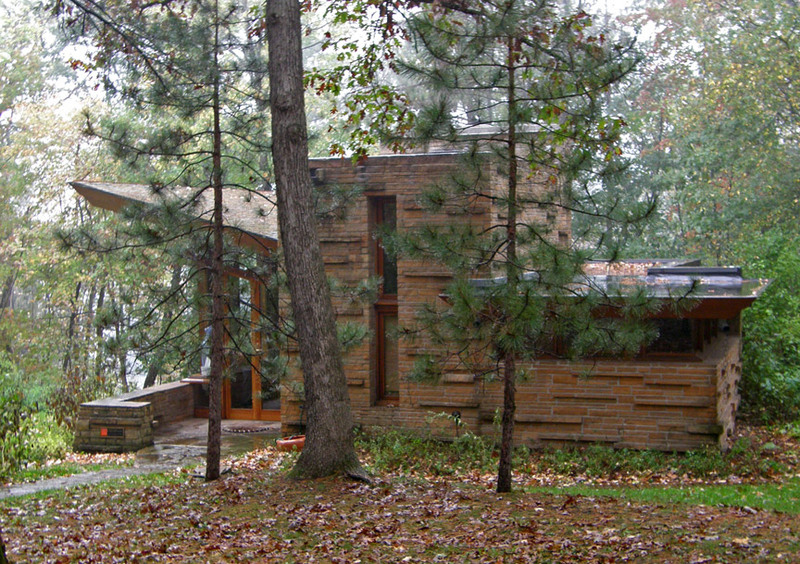 However Peterson died before the cottage was finished, and the next owners completed the work. 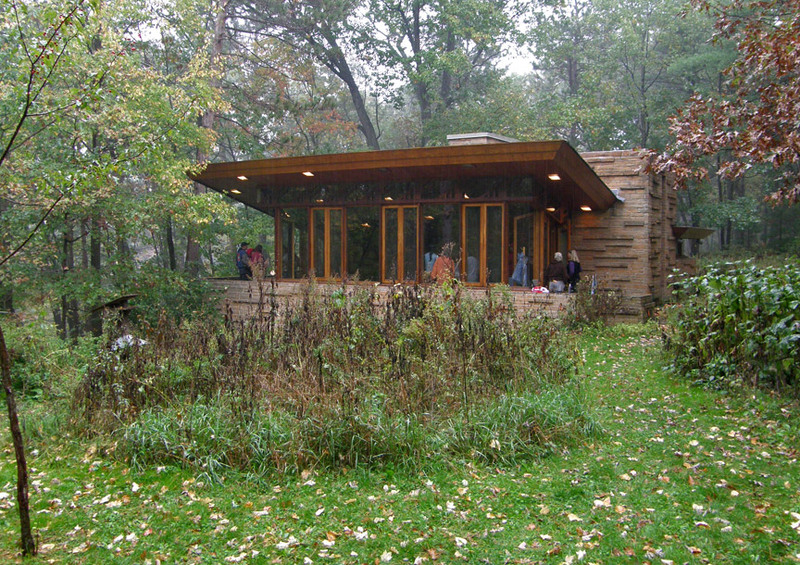 Mirror Lake State Park was established nearby in 1962, and in 1966 the land on which the cottage stood was acquired by the state and added to the park. 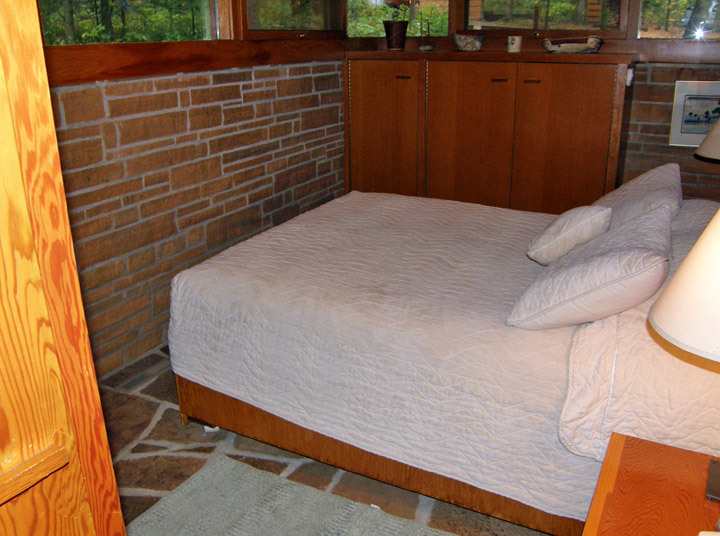 Away from the developed areas of the park, however, the cottage was neglected and fell into disrepair. 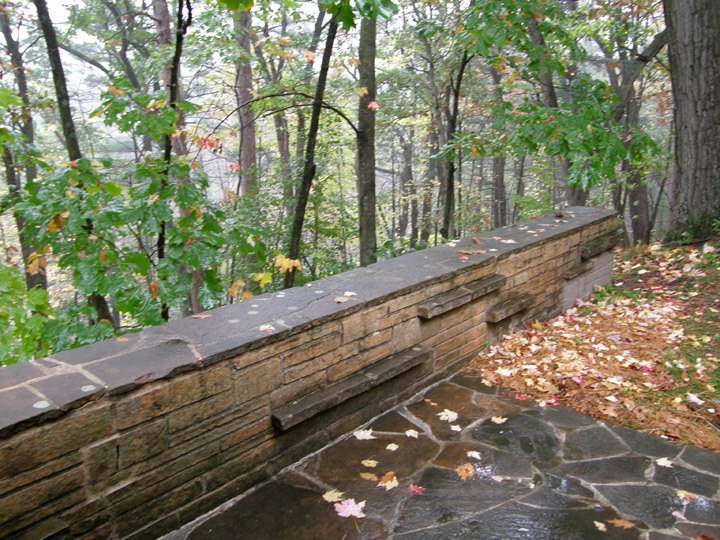 In the late 1980s a local resident named Audrey Laatsch noticed the run-down cabin while canoeing on Mirror Lake and became interested in the structure. 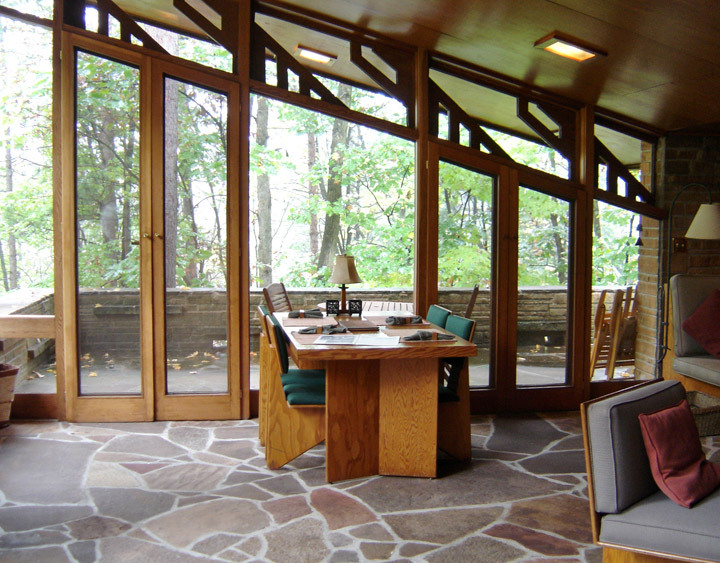 Upon discovering its origin, she spearheaded a grass-roots campaign among local residents and Wright-aficionados to restore the cottage. 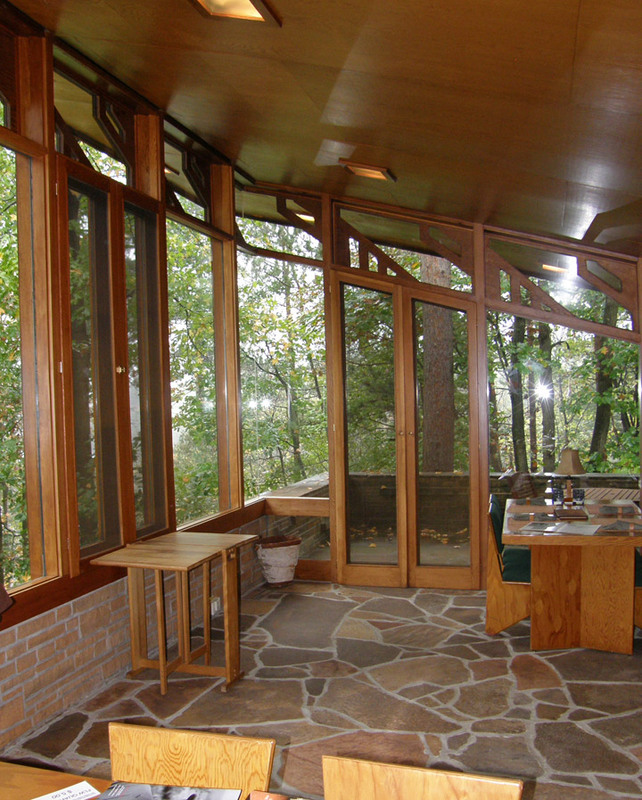 They founded a non-profit organization, the Seth Peterson Cottage Conservancy, in 1989. 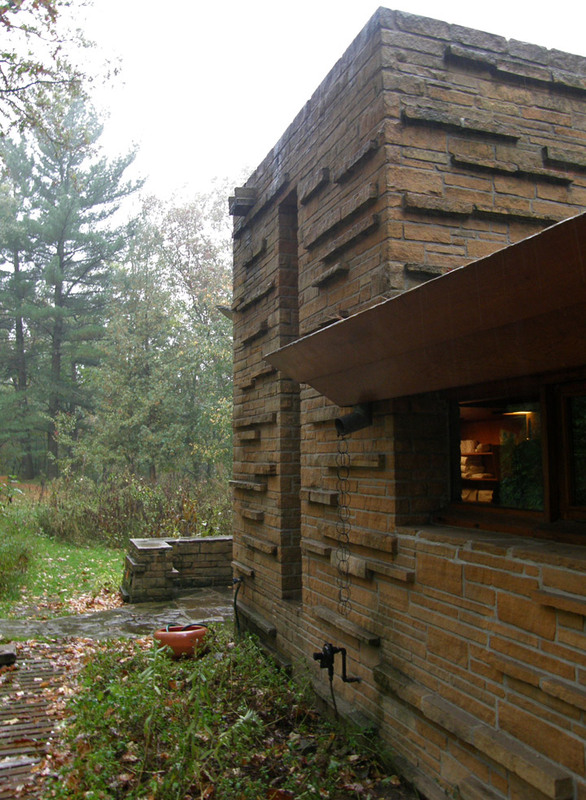 Their efforts funded a $300,000, three-year restoration which included elements from Wright's original designs that had never been built. 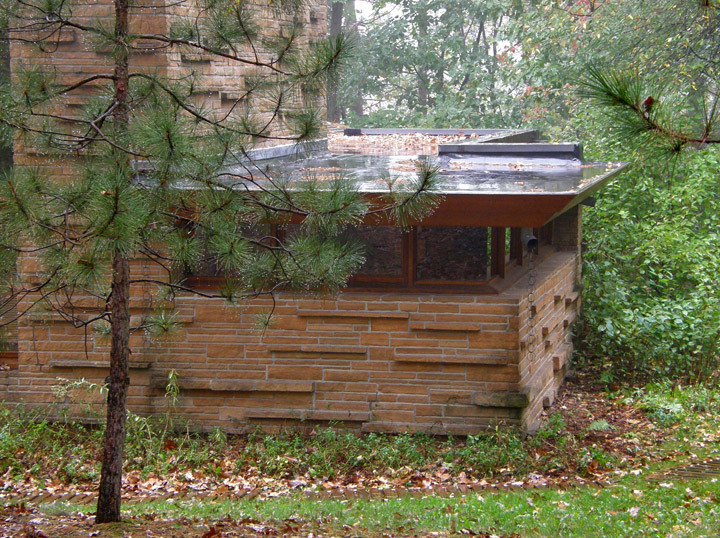 The work was finished in June 1992, the 125th anniversary of Wright's birth.